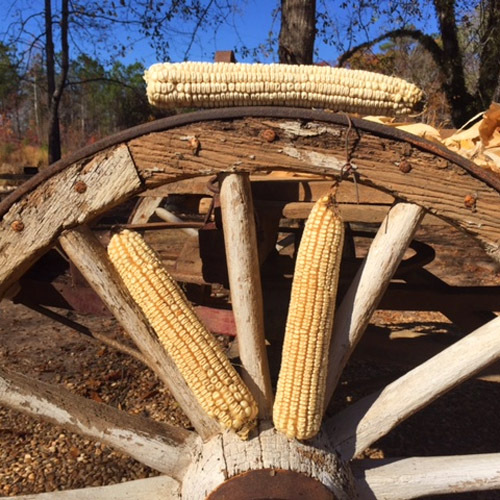 The corn that fed the South! I have been growing Hasting’s since 2008, isolated from any other corn. (See ‘Hasting’s History’ on web site. ) Hasting’s is a fantastic white dent corn that is very drought resistant. Hasting’s has a great flavor and makes a good choice to cook as roasting ears, cream corn, or corn meal and grits. A very large and impressive plant, it grows 12-14 feet with 1-2 very large ears. It matures in 100-110 days. This corn was almost extinct. It is a corn that can feed your family in tough times. This corn is Hasting’s Prolific! It is not a Mosby or a cross-pollinated white field corn. See our GMO test results.